Instructions Are Provided for Two Mini Versions! 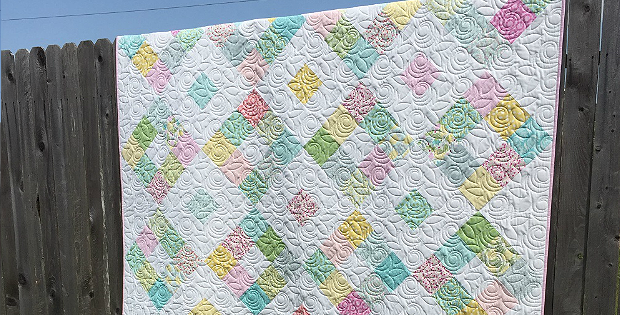 Choose pretty charm packs (5″) or layer cake squares (10″) for this charming quilt. It’s super easy to make, even for beginners, and will be lovely in many color combinations. While selecting fabric packs be sure to create a nice contrast between the pre-cut squares and the background fabric. Once you have that you’ll find this project is a breeze to complete. We love the soft spring fabrics chosen by the designer. Her Christmas version is just as appealing. Play with color to create your own wonderful rendition. 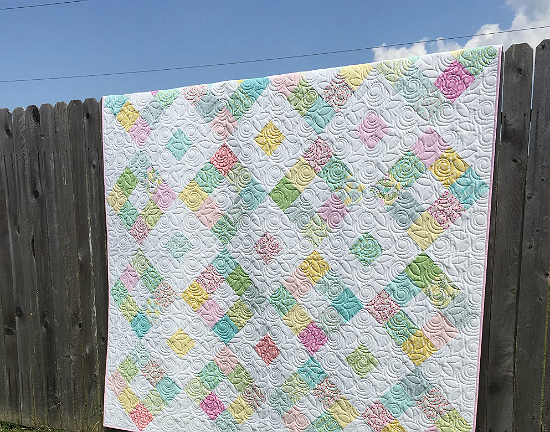 The finished quilt, designed by Amanda Wilbert from Pieced Just Sew, is 77″ x 77″. 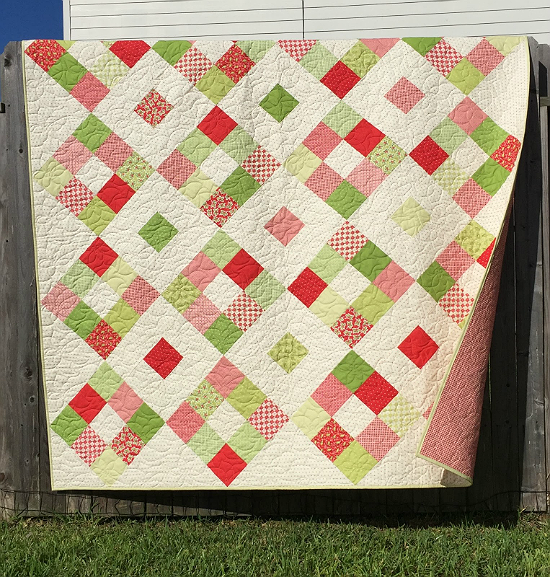 Click here for the free “Square Dance” quilt tutorial. 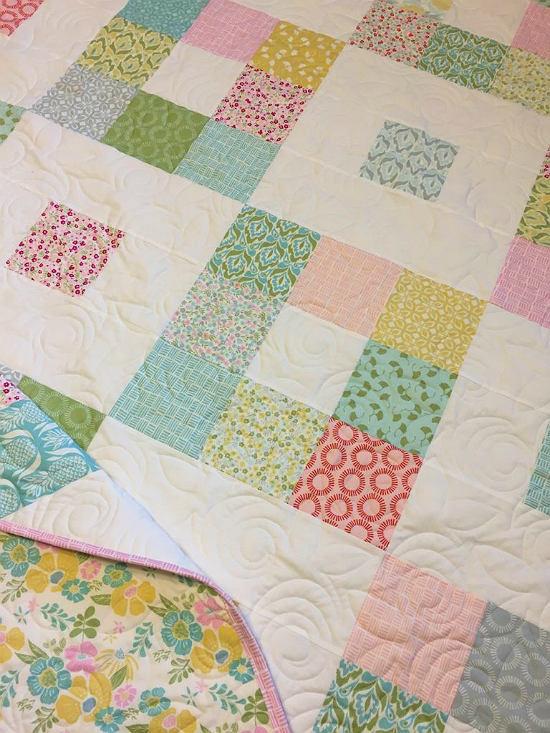 Amanda also provides instructions for a mini quilt in two sizes. Choose a charm pack or mini charm packs (2 1/2″ squares) for either version. The 4 x 4 block layout, like the large quilt, is about 34″ x 34″. 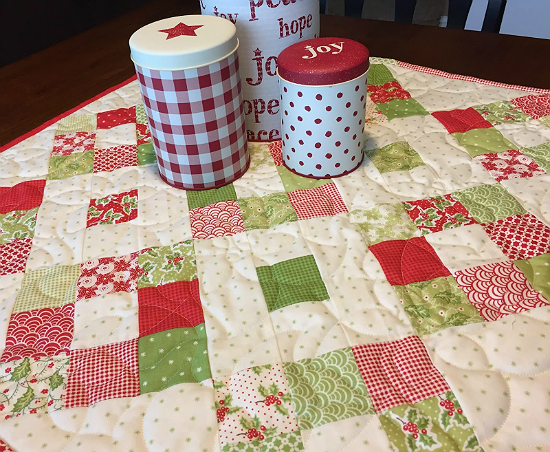 Or go with the smaller 3 x 3 layout shown here for a pretty table topper of 26″x 26″. 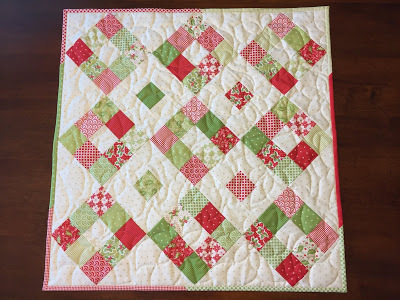 Click here for the free “Square Dance Mini” tutorial.